Antique single cut diamond five stone ring dating to the Edwardian era. The five single cut diamonds are bezel set in a graduated design across the top of the finger. They gently curve across the top of the finger and the top edges are lined in incredibly fine milgrain beading in bright white platinum. The narrow nipped shoulders taper to a slender yellow gold band. Small high quality single cut diamonds such as these are highly prized because there are fewer but larger facets so they give off a majestic dance of light and colour, that is often lost in a sea of white light with full cut stones. MEASUREMENTS: Ring size 6 (US) L-1/2 (UK) EU 51-1/2 with sizing available for an additional fee. Measures 12.3mm by 3mm on top, standing 3.8 mm high with a 1.8 mm band. 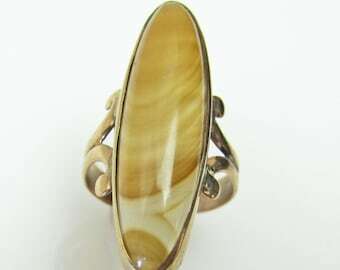 CONDITION: Excellent with minimal signs of wear, this ring has been very well cared for. Will arrive in our antique style heirloom ring box as shown. These ring boxes are manufactured in England. 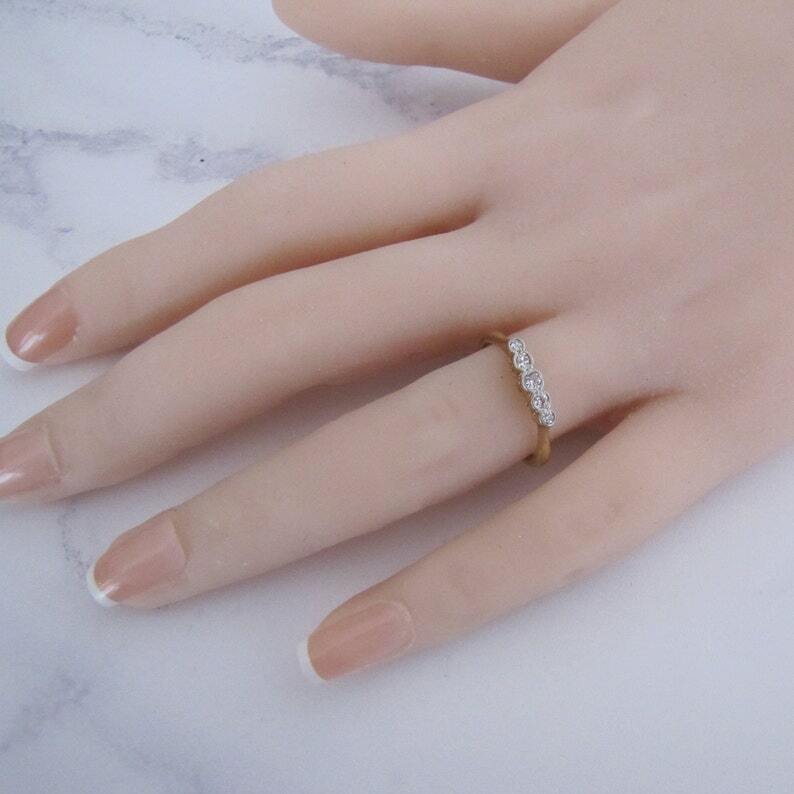 Hand finished with gold tooling they are high quality and perfect for proposal and safekeeping! 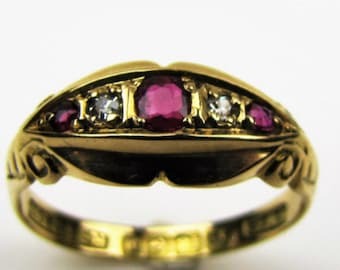 Antique 15ct Gold Ruby Pearl Ring. English 15K Mid Victorian Ring & Antique Box. Floral Engraved Gemstone Anniversary Ring. Hallmark 1864.